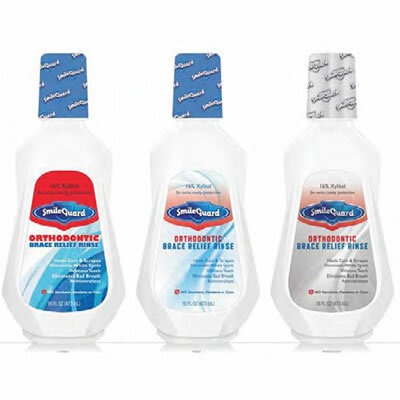 SmileGuard Orthodontic Brace Relief Rinse | Dr. Fresh, Llc. Teeth with braces are difficult to clean and compliance is poor, resulting in increased cavities and gum disease. Rinsing with Dr. Fresh’s SmileGuard Orthodontic Brace Relief Rinse provides an additional level of cleaning and protection. Fluoride prevents cavities and strengthens and mineralizes teeth, while 16% xylitol natural sweetener helps inhibit bacterial growth. The additions of organic glycerin, aloe vera, and sodium hexametaphosphate heal cuts and safely remove teeth stains.